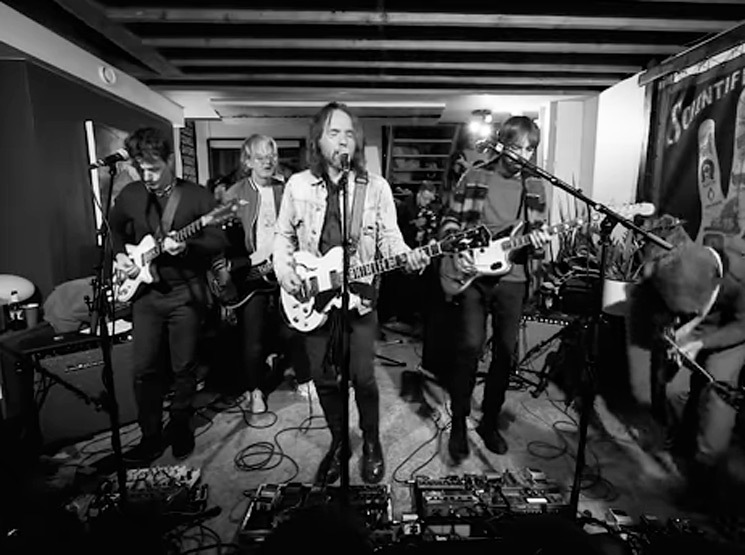 Broken Social Scene have returned to give us some new material. While playing a set for George Stroumboulopoulos' The Strombo Show, the Canadian indie-rock collective unloaded a pair of new songs, in addition to a cover of Bonnie Tyler's "Total Eclipse of the Heart" and some old classics. During the 45-minute performance at House of Strombo, BSS premiered the new songs "Can't Find My Heart" and "1972." While the band have yet to cement any new album plans, this may mean we will get a follow-up to 2017's Hug of Thunder sooner rather than later. Besides that pair of new songs, the set featured a cover of the classic Bonnie Tyler cut "Total Eclipse of the Heart," as well as BSS oldies like "Lover's Spit," "Cause = Time" and "Ibi Dreams of Pavement." Lending a hand onstage were also the likes of Feist ("Lover's Spit"), Jason Collett (for a cover of his "I'll Bring the Sun") Ariel Engle (for a cover of her La Force project) and more. Watch the entire set below, where you'll also find the set list for the performance. 39:18 "Ibi Dreams Of Pavement"